Can you get the answer right and score a basket for your team? 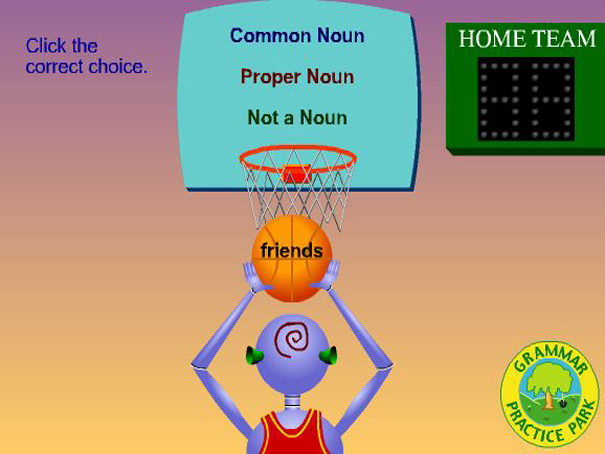 Look at the noun written on the ball and decide if it is a Common Noun, a Proper Noun or Not a Noun. You will score 3 points for every correct answer. Get it wrong and you will miss the basket but don't worry, you will get another go to get it right!